Do you remember the taste of a tomato freshly picked from the vine? How about sweet corn, cucumbers, green beans, onions, lettuces and herbs? We will be offering workshops in the new year to get you inspired to plant and grow your own food. 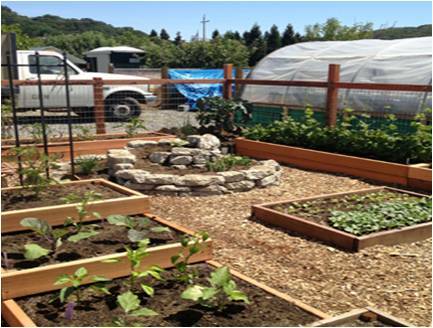 Proceeds from the fees will be used to help build the Novato Community Garden at the Lieb Property at 1521 Hill Road in Novato California, across from the Margaret Todd Senior Center and the Hill Recreation Area. More info to coming: We are currently updating our website and creating a Facebook Page. LIFE - Landscape Integrity Films and Education "Mix California native plants with your Mediterranean non-natives to support the nature of California, add beauty to your garden, and be efficient with your water use. Native plants provide essential habitat for butterflies, birds, and more. Also, California natives don’t need soil amendments or fertilizers. So much to love! Sponsored and supported by the Metropolitan Water District, Arroyo Seco Foundation and California Water Efficiency Partnership." LIFE - Landscape Integrity Films and Education "Given that we are in a water and an extinction crisis, it makes sense to plant native. CALIFORNIA NATIVE GARDEN"
"The residents of the Canal Street neighborhood in San Rafael, California, come from diverse backgrounds, but they share a love for good food grown locally. Ever since the loss of an old community garden, locals have been keen to rebuild their plots—bigger and better. The Trust for Public Land has partnered with Canal Street neighborhood and the Union Bank Foundation to help get the job done. In this short clip, project partners share their vision for the new gardens." 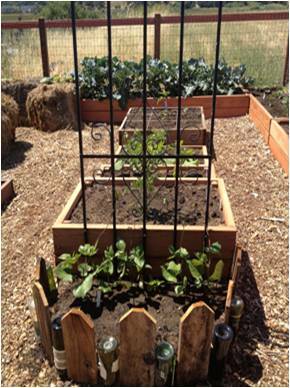 "There are many types of community gardens including: neighborhood gardens, allotment gardens, communal gardens, children's gardens, and gardens that provide vocational training. 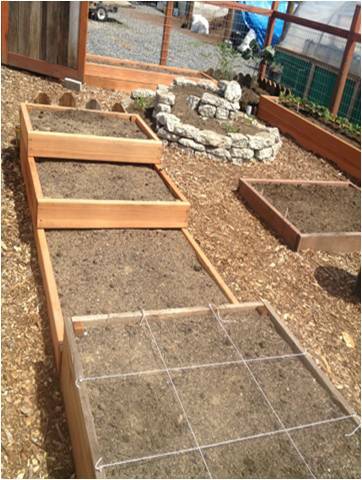 Each type has benefits and concerns which should be considered before starting a community garden. Produced by the Department of Communications at Kansas State University." "From Disneynature, the studio that brought you "Earth", "Oceans", "African Cats" and "Chimpanzee", comes "Wings of Life" – a stunning adventure full of intrigue, drama and mesmerizing beauty. Narrated by Meryl Streep, this intimate and unprecedented look at butterflies, hummingbirds, bees, bats and flowers is a celebration of life, as a third of the world’s food supply depends on these incredible – and increasingly threatened – creatures." "Pollinators are responsible for assisting over 80% of the world's flowering plants. Without them, humans and wildlife wouldn't have much to eat or look at! Animals that assist plants in their reproduction as pollinators include species of ants, bats, bees, beetles, birds, butterflies, flies, moths, wasps, as well as other unusual animals. Wind and water also play a role in the pollination of many plants." And everyone that saw, smiled and said, "This is good!"